Montana is not as populous as many states, but it has a higher rate than most states for the number of deaths caused by impaired drivers per vehicle mile traveled. According to the Montana Department of Transportation (MDT), in 2017, a whopping 61% of all traffic fatalities were due to impaired drivers. Alcohol was involved in 32% of all traffic fatalities. And according to the Centers for Disease Control (CDC), Montanans are much more likely to drive after they have had too much to drink than the average American. Something to keep in mind is how much of Montana is comprised of rural roads, far from medical facilities or other people. Montana is the least populated state, with only 6.86 people for every square mile of land. In addition, according to the National Highway Transportation Safety Board (NHTSA), Montana has the highest percentage of rural vehicle miles traveled in the nation. Driving in rural areas far from medical help increases the risk that a serious accident may turn into a fatal accident. Montana has implemented a Highway Safety Plan aiming at reducing traffic fatalities and serious injuries. A big part of that involves reducing drunk driving. The state has a special team devoted to reducing impaired driving crashes. Overall, traffic fatalities are showing a downward trend in Montana, in part due to the state’s education, enforcement, and judicial efforts. The Montana Highway Patrol works with other law enforcement agencies, including tribal law enforcement agencies in targeted DUI enforcement efforts. Sobriety checkpoints are not allowed under current Montana law, but the MHP utilizes other means. An effort is underway to clarify Montana’s DUI laws, making them simpler to understand, and toughening penalties for DUI Montana has long had the reputation for being easy on drunk drivers, but a proposed overhaul under Senate Bill 65 could change that. 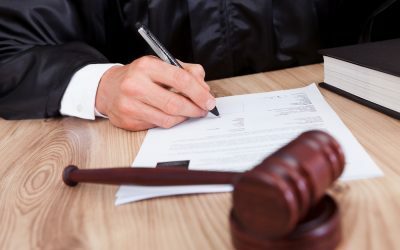 Proposed changes include adding an alcohol assessment, education, and treatment component to the standard penalties of fines and jail time for certain DUI offenses. The bill also makes Montana’s 24/7 Sobriety Program or an ignition interlock device mandatory for a second or subsequent DUI. Currently requiring an ignition interlock device is at a judge’s discretion. Two state courts and two local courts participate in the program. It’s focused on reducing recidivism (repeat offenses). Offenders are recommended for treatment and drug testing designed to change behavior. A series of incentives and sanctions are used, and there is continuous court oversight as an offender goes through treatment. The Montana Department of Transportation (MDT) provides partial funding to these courts in addition to funding for DUI court training to interested parties. 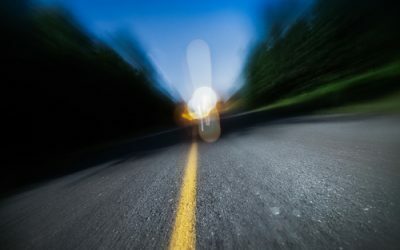 If Montana’s DUI law changes in regard to ignition interlock devices as part of a probationary driver’s license for second and subsequent offenses, a lot more people will be allowed to waive or decrease their license suspension after a DUI. Currently, a judge has the discretion in requiring an IID. But soon, installation of an IID would be mandatory for a second or subsequent offense. Failing the test repeatedly or attempting to tamper with the device can result in being kicked out of the program, criminal charges, or both. ALCOLOCK is a state-approved vendor of ignition interlock devices in Montana. As a pioneer in the ignition interlock industry, we have helped thousands of people get back on the road after a drunk driving conviction. You can call ALCOLOCK directly at 866-700-9300, or contact an authorized service location to schedule your ignition interlock device installation. You can also use our contact form, and someone will get back to you shortly.